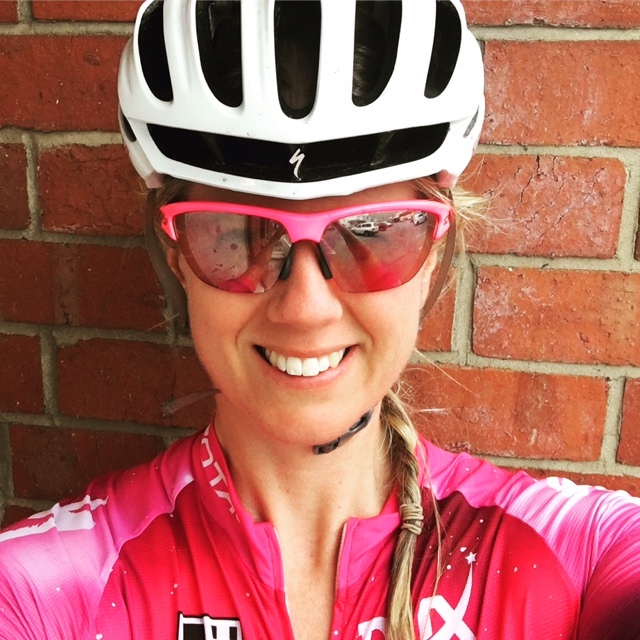 We asked Shannon Miraglia the tough questions about her cycling experience. 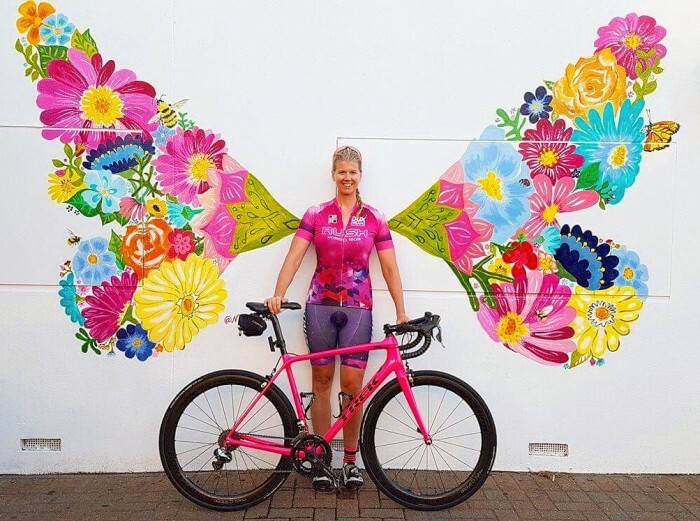 We are very excited to have her oversee our new womens program that aims to inspire more women to ride with confidence and skill and become fit and find new friends. Who are you and how did you start cycling? I’m Shannon Miraglia. I am 39 years old and originally from Victoria. I joined the Navy at 17 as an Electronics Tech specialising in Weapons and was posted over to Perth. After 8 years in the Navy I got out and got a job with Saab Australia as a Defence Project Manager. I was with Saab for 15 years before deciding I needed a change in direction and left to find cycling related pursuits. 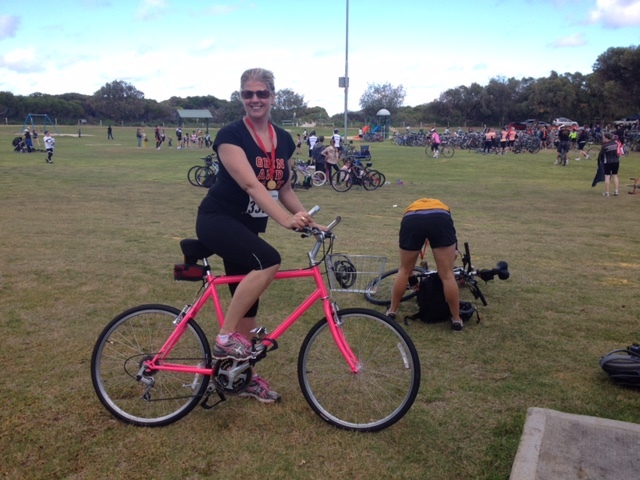 I have always been active – jogging, boot camp, etc, but I’m not known for coordination and had no experiencee on a bike. In 2011 I felt some pain in my lower back – after numerous scans I was told that I shouldn’t run again. I had bone inflammation on my spine which took two years to heal and I stacked on weight due to inactivity. In late 2013 I attempted my very first 50km ride on my bike, complete with a basket. I loved it so much that I joined a cycling group however it was pretty clear that I needed to upgrade from the basket if I wanted to keep up with the group. I was hooked and never looked back. In 2015 I met Melissa Robinson through a Liv Ride and she has been coaching me ever since. What are your greatest cycling achievements? I have achieved things I never thought I would and continue to be amazed at what my body can do when I push my limits. I have completed the Stelvio Granfondo in Italy (140kms, 3,000m of elevation with a time cut off), two Tour of Margaret Rivers and numerous criteriums and road races. What inspires you to get up so early in the morning to go riding? Through cycling I have found an amazing group of people – male and female. Sometimes when the alarm goes off at 5am on a cold morning I’m tempted to sleep in, but then remember I’m meeting an awesome bunch of people, riding and catching up for coffee afterwards. There is a massive sense of community and comraderie in the cycling world that I never knew existed and I think a lot more people need to tap into it! We have some absolutely amazing women in the cycling community and it’s easy to find inspiration through them. I would arrive at the start of each ride nervous as hell that I would be dropped. I even bought myself a Garmin with GPS maps so I could navigate home if it did happen. Now, I am participating in rides where it’s normal to be dropped at some point (and then regroup) as riding with people better than you makes you a stronger rider. How did you overcome your fear of getting “dropped”? A lot of cycling fears are thought related (eg I’m too slow, I’ll hold the group up, I don’t know the group) and it takes time to change them but it can be done. I’m no longer scared of being dropped or being the slowest on a training ride and that is in part due to the ever encouraging group that I train with. All ages are represented but cycling proves that age is just a number – I’ve been left gasping riding with guys old enough to be my grandpa and shared in racing victories with women the same age as my Mum – and I reckon that’s fantastic. It’s all about having a go – that takes courage, but it is so worth it. How has riding become part of your life? Riding my bike has been a total life changer – not only have I found some fantastic friends, but I’m the fittest I have ever been. It’s a euphoric hobby and I want to share the experience with as many people as I can. I may never be the fastest rider, but what I lack in speed, I more than make up for in enthusiasm. What do you want to pass on in this program? I have a real thirst for knowledge and am always seeking to learn more and I’m not afraid to get dirty in the process – be it changing a tyre, adjusting brakes, wrapping bar tape, new training techniques for speed or hills .. I want to learn it all so I can pass it on. I can’t wait to meet you all and get you as keen as I am about all things bikes!